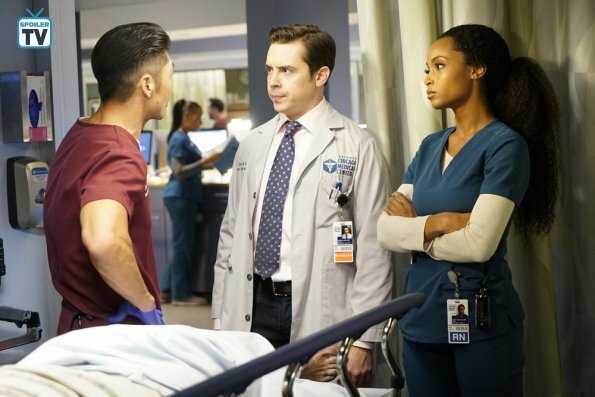 Here's a preview of next week's episode of Chicago Med titled, "Who Can You Trust." Will adjusts to hospital life in the aftermath of his recent undercover activities. Ethan and April's personal relationship starts to interfere with their working situation. Dr. Charles and Dr. Manning collaborate on a patient suffering from Alzheimer's. Dr. Rhodes and Dr. Bekker have a difference in opinion in dealing with a woman in desperate need of a kidney transplant. I'm literally at lost for words with Manstead but even though I had a feeling that they were going to have a rocky relationship when they came back. I understand what Will is doing, but I'm totally on Natalie's side with no gun in the house at all, even if there is a safe case for it. Will don't need a gun, he's got his brother Jay to do that. Hello! Ethan still loves April and it really showed. I wonder if these two will finally say what they feel. 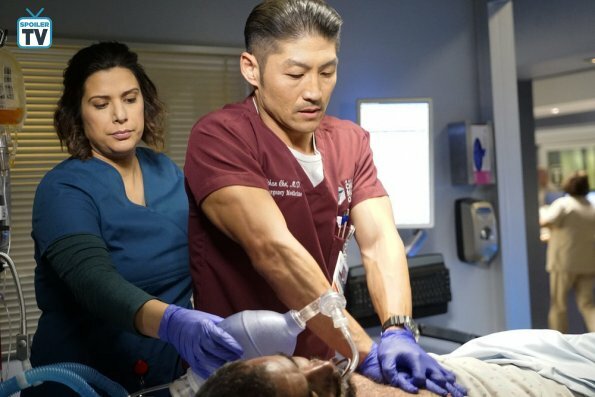 Rhodes and Bekker have been a ride this season and I can't wait to see what happens after Conner gave his father a punch to the mouth. What do you think of the upcoming episode? Leave a comment! You can catch Chicago Med next Wednesday at 8/7c on NBC.